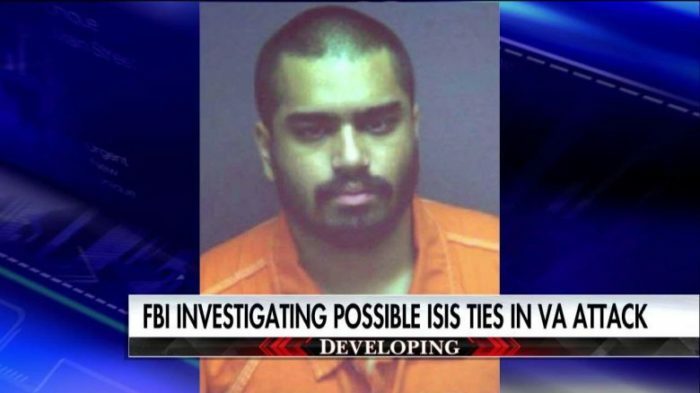 Maybe he had a mental illness and was connected with ISIS. Surely ISIS doesn’t turn away anyone who would help them, right? The FBI is investigating a possible ISIS connection after a brutal stabbing this weekend in Roanoke, Virginia. Wasil Farooqui, 20, was charged with two counts of aggravated malicious wounding in the stabbing attack Saturday that left two people seriously wounded. Farooqui had reportedly traveled to Turkey in the last year and may have tried to sneak into Syria to meet with ISIS militants. Witnesses told authorities that Farooqi was yelling “Allah Akbar.” But police now say Farooqi said he began hearing voices telling him he was stupid and to attack people. Watch Dana Loesch and Nomiki Konst discuss the case on The Kelly File below.